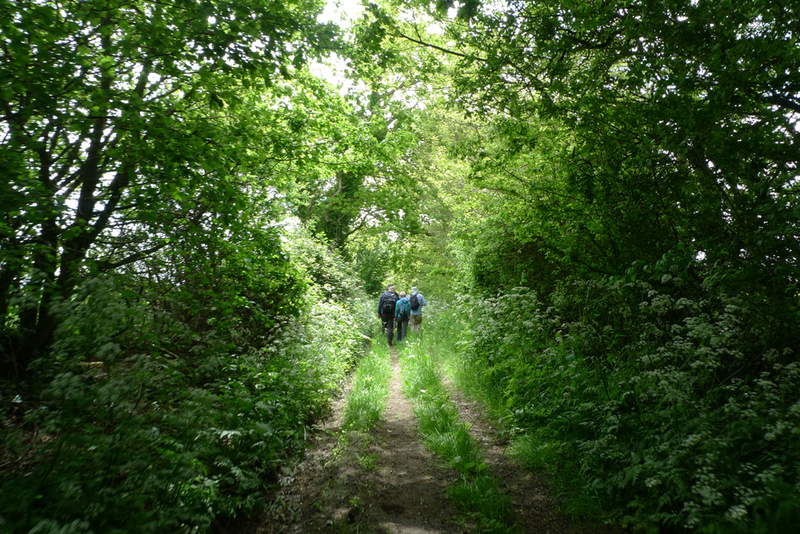 Last week we made the most of the good weather and joined a group who were looking at the paths and lanes in and around Little Walsingham. 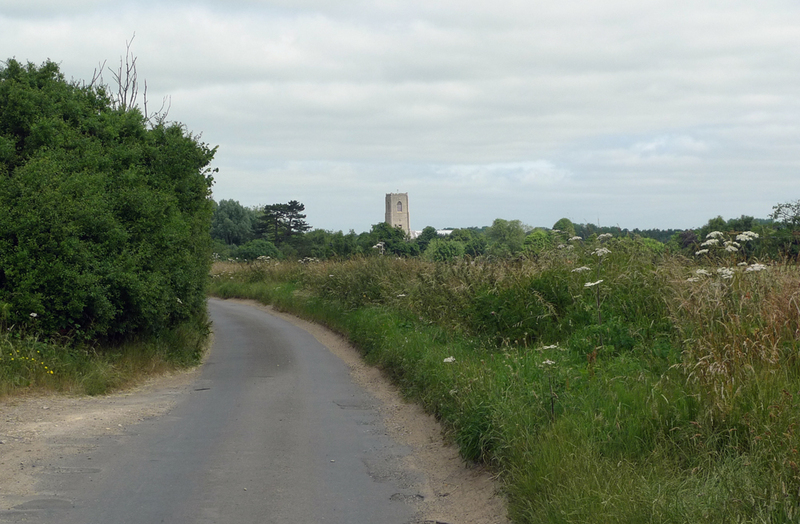 We started off on an unclassified road to the south of the Abbey, leading to Great Snoring. 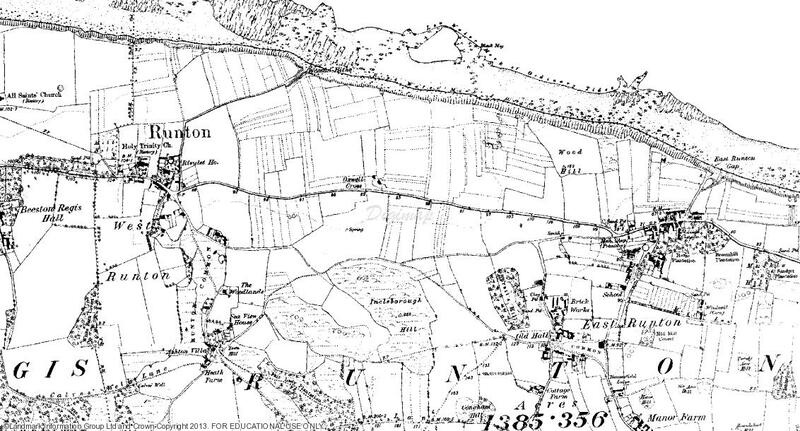 Nineteenth-century maps show it as part of the wider road network but, unlike the roads which join it at either end, it has never been surfaced. It is clearly a well-established landscape feature: there are a number of large oak pollards along its length, as well as some significant field maple coppice stools. It is also notable that the first section of the lane forms part of the parish boundary between Little Walsingham and Houghton St Giles. Lane between Little Walsingham and Great Snoring. 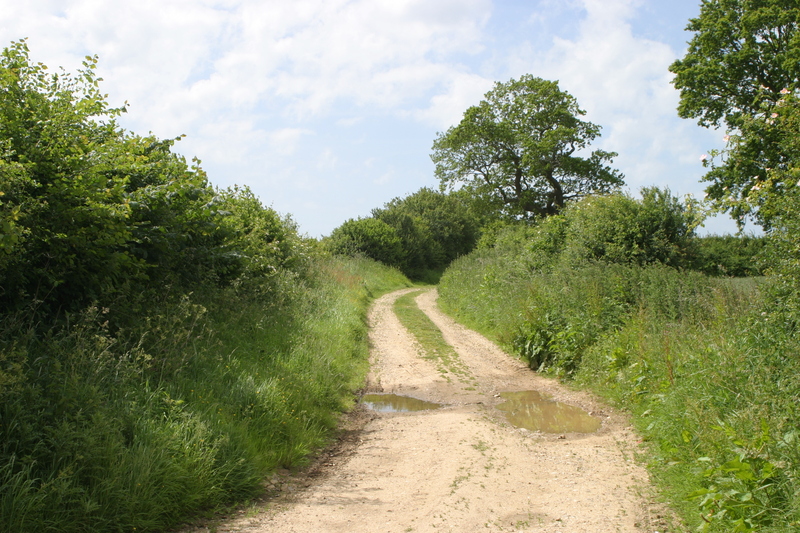 The start of the lane is followed by a parish boundary and contains a number of large oak trees in its hedgerows. 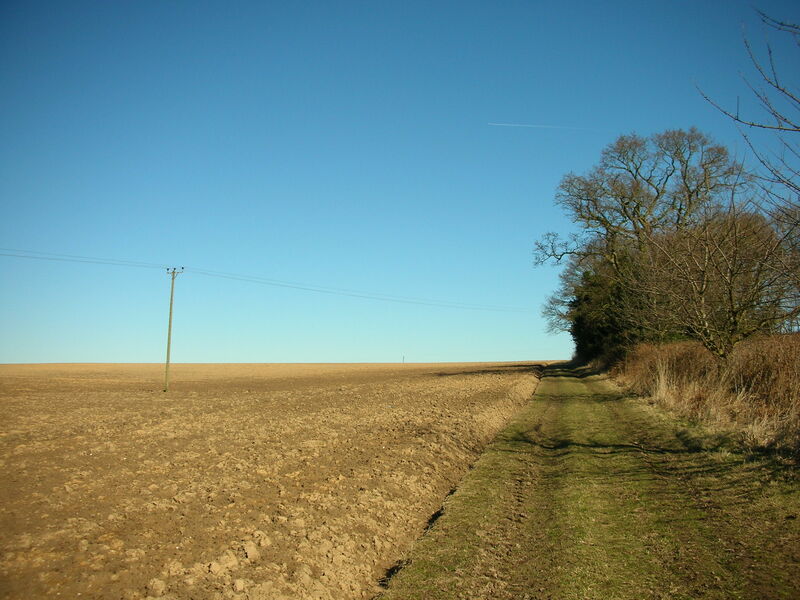 Lanes such as this provide a good illustration of the way in which elements of earlier landscapes can be preserved, even where there has been intensive agricultural use in the surrounding area. Walking towards Great Snoring. This is the same lane as in the photograph above, though narrower and more overgrown at this point. From Great Snoring we followed a path running along the edges of fields from Top Farm to Hill House Farm. Great Snoring was subject to a parliamentary enclosure act in 1811, which presumably shaped the landscape of this part of the parish – the paths follow straight hawthorn hedges around neatly rectangular fields. 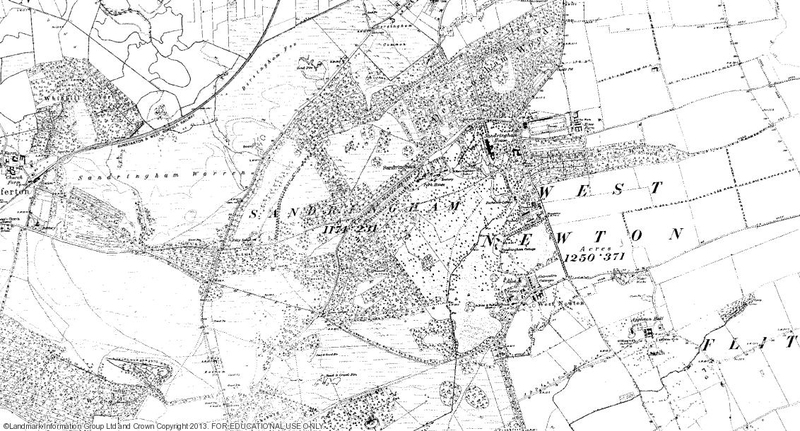 The paths are shown on late 19th-century Ordnance Survey maps, but appear only in part on the Tithe Award map of 1840 (leading to a gravel pit in one of the adjoining fields). 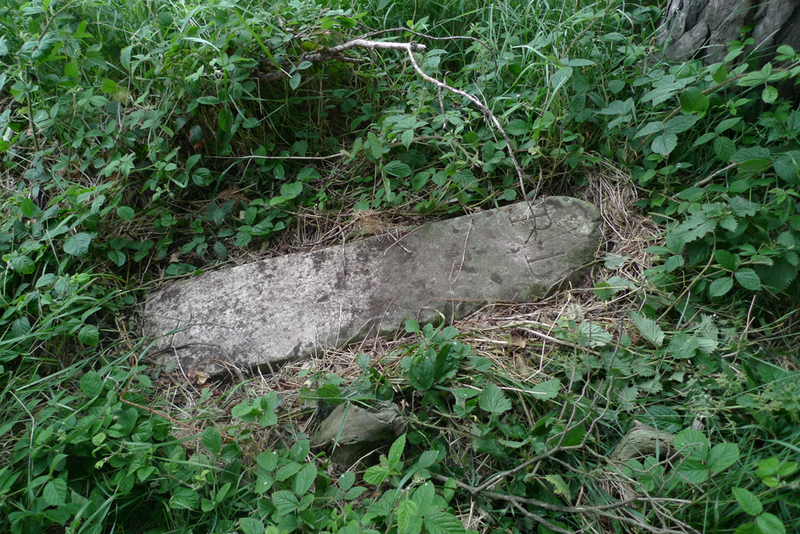 Following field-edge footpaths in the north west corner of the parish of Great Snoring. Returning to Little Walsingham via Abbey Farm we came across our first significantly sunken path, dropping down the hill towards the farm and parish church. 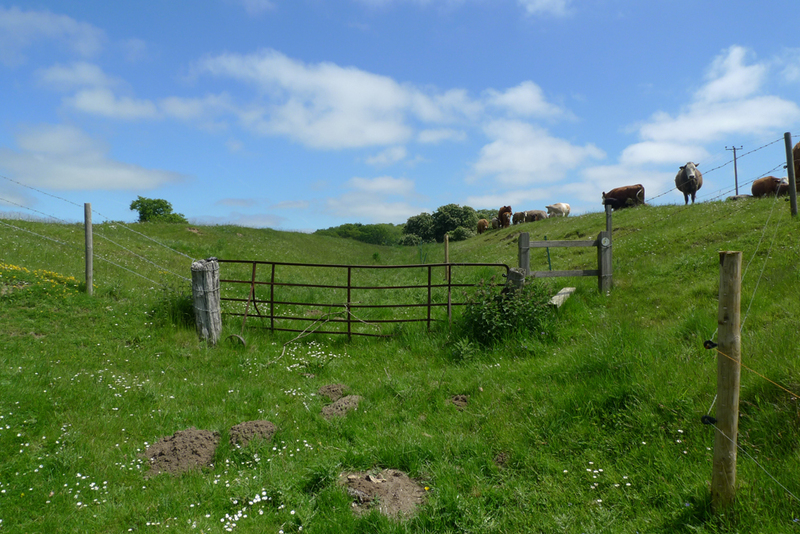 The cows in the photo below show some indication of the variation in ground level. The distribution and depth of sunken paths and lanes is one of the factors we’ll be exploring as part of the Pathways project, in an attempt to understand how it relates to patterns of soil, slope and usage. Thanks to all those who helped on the day, clearly showing the benefits of several pairs of eyes! We are excited to be able to post about a new landscape history project that we will be running over the course of the year. 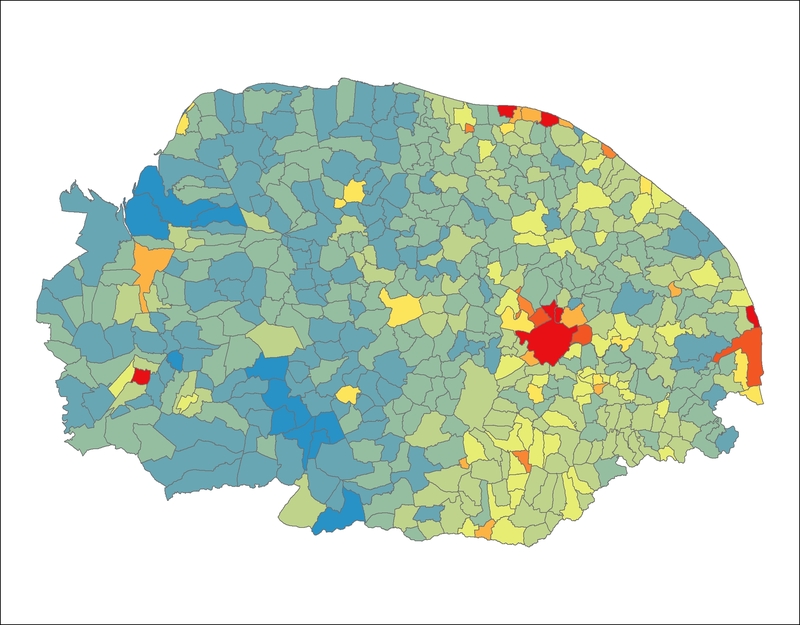 • How old are footpaths and green lanes in Norfolk? 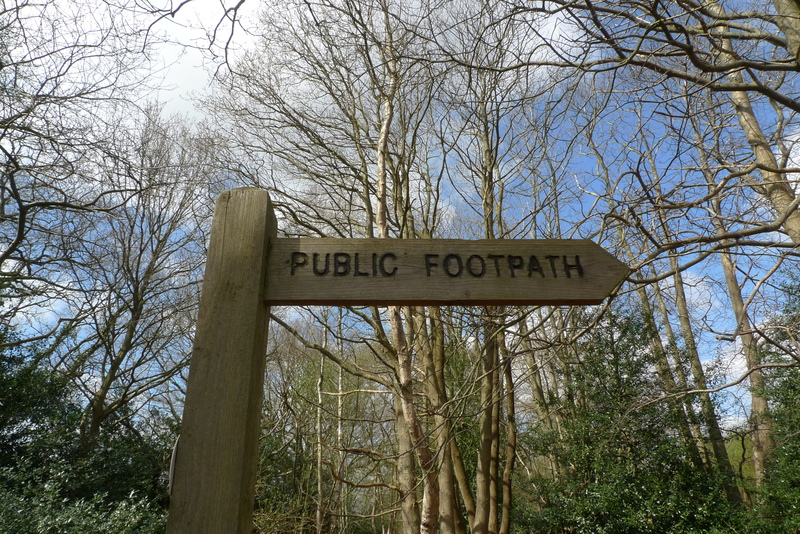 • How has the number of public rights of way changed in the past? 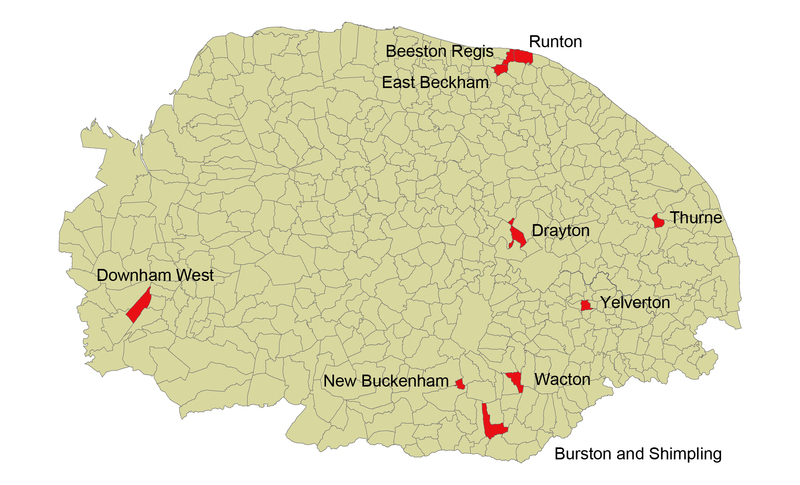 • Do footpaths and green lanes have a distinct archaeological character? 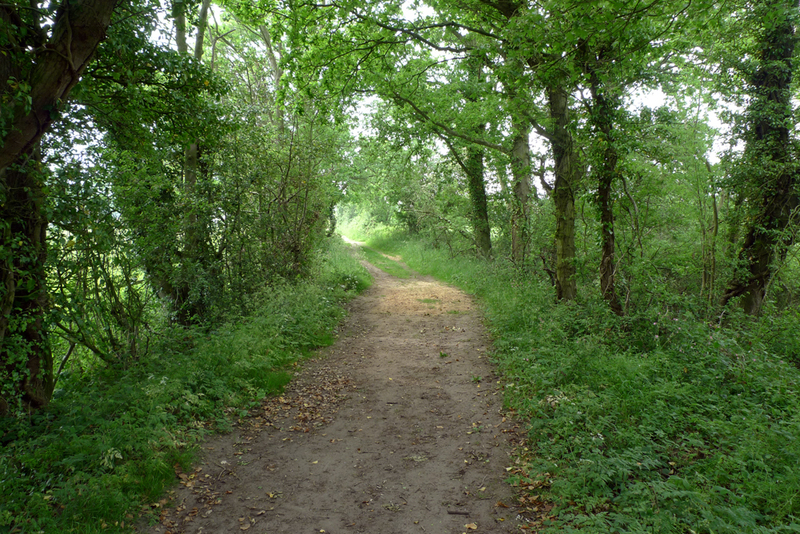 • What were footpaths and green lanes used for in the past? • Are there any local names or traditions associated with them? 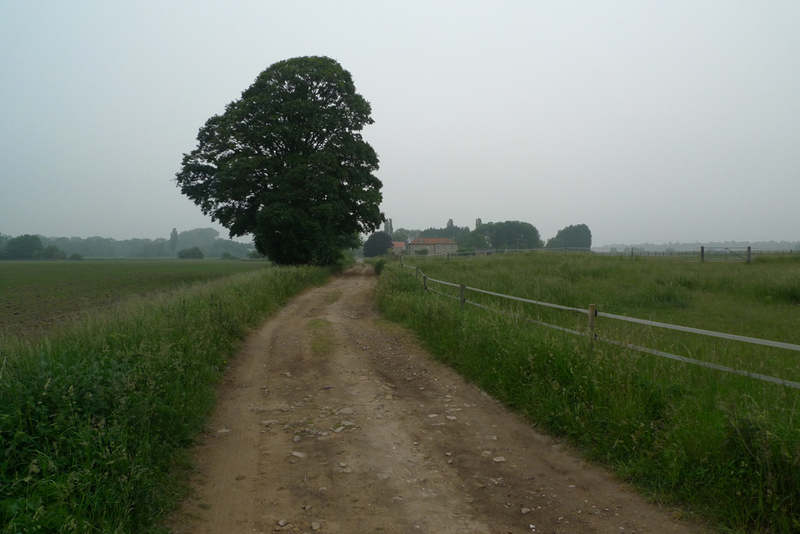 • How do footpaths and green lanes relate to the wider landscape? We are looking for volunteers from across the county to take part in the project – to help us carry out surveys of footpaths and green lanes and to carry out archival research into their history. We will be able to provide help, advice and training on fieldwork and research to both individuals and community groups. 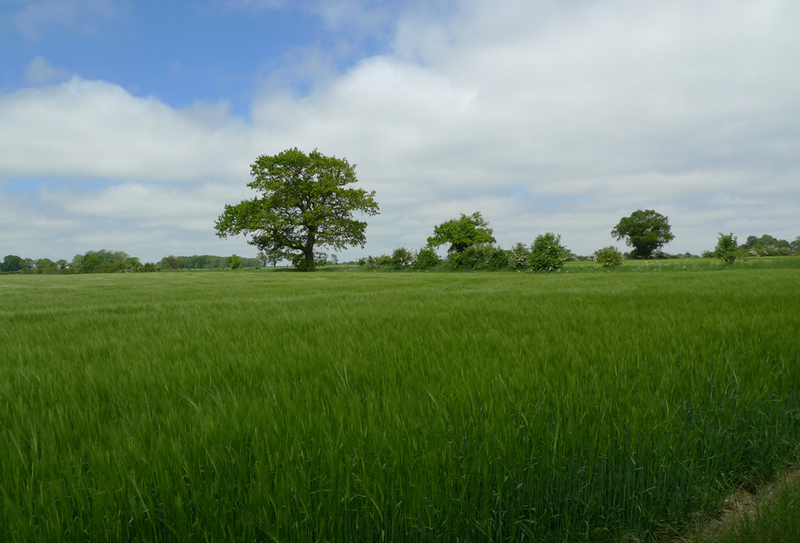 We hope that surveying the physical character of footpaths and green lanes will help us to understand more about their history and development. 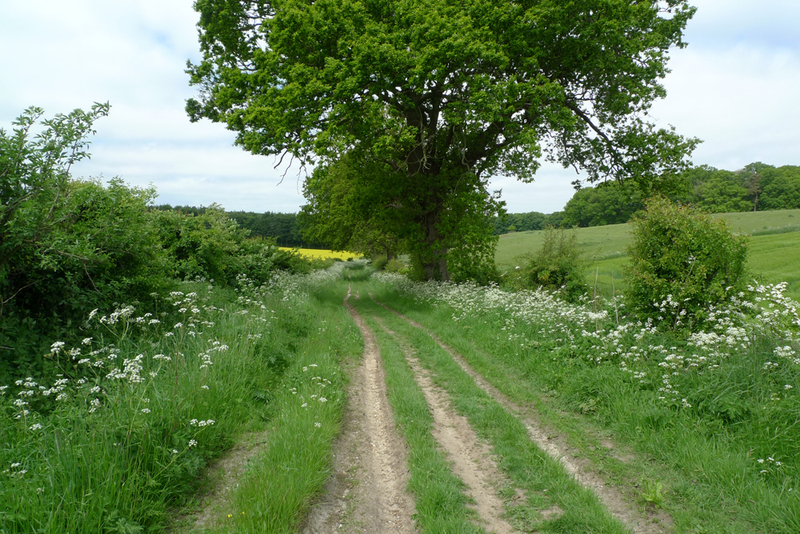 Very old lanes and paths are often characterised as being deeply sunken or eroded, with species rich hedges and distinctive flora like bluebells, primroses and dogs mercury. On the other hand, unbounded footpaths are not always so clearly physically defined. How does this relate to the history and development of green lanes and footpaths? 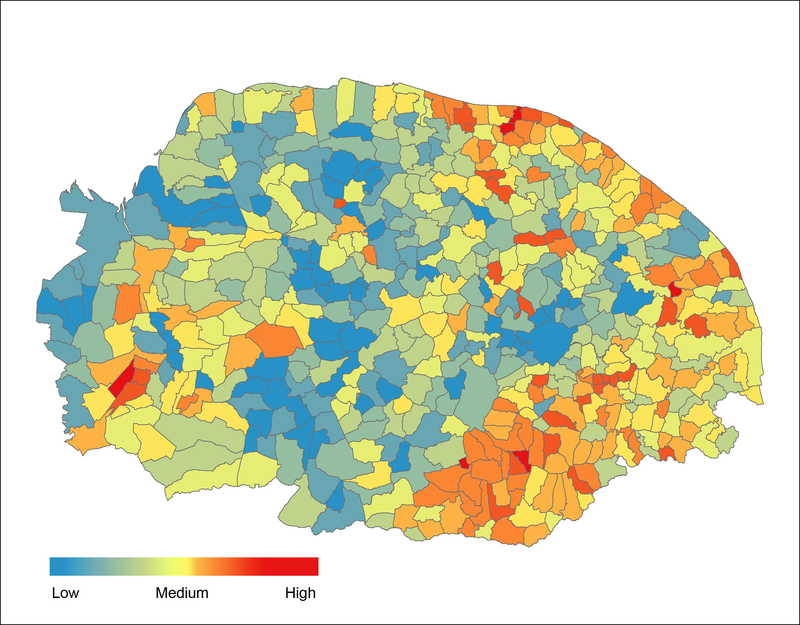 We are also interested in trying to trace the changing number of footpaths and lanes in Norfolk – many parishes were affected by processes like Parliamentary enclosure, so what impact did this have on the footpath network? We will be running a series of introductory training sessions towards the end of May, and can also run training sessions with community groups who are interested in taking part.